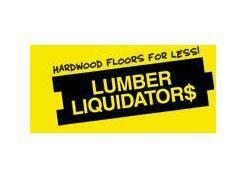 New York, NY, April 2, 2015—Lumber Liquidators’ March comparable store sales fell 17.8% with an 11.3% drop in volume. LL reported $260 million in first quarter net sales, an increase of 5.6%. Net sales in March 2015 were significantly lower than trends in January and February due to negative publicity related to its laminate products sourced out of China. The 60 Minutes story, uncovering high formaldehyde levels in LL laminate, aired on March 1, affecting figures only for the later part of the quarter. An anticipated fall in laminate mix in March corresponded to a rise in solid and engineered hardwood mix. LL reports that an independent testing organization has received 10,000 customer requests for in-home air quality test kits.